Just lovely. 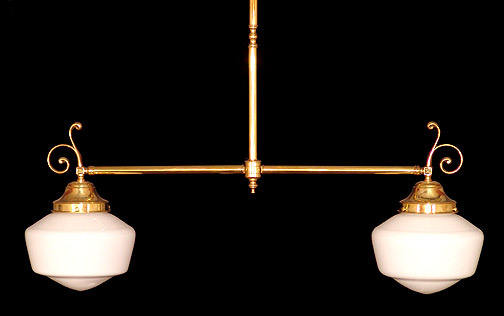 An old schoolhouse two arm pendant with the added styling of cast brass arm backs. Place this one over a kitchen island or anywhere you see fit. Custom width is fine!